Manchester City tasted defeat for the first time in the 2018/19 Premier League campaign as they went down by 2-0 against Chelsea at Stamford Bridge. N’Golo Kante and David Luiz scored the two goals for the Blues, which were good enough for their side to get over the line against the Citizens. Pep Guardiola’s men started to put the pressure since kick-off, but it was not their day as Maurizio Sarri’s side had the last laugh at the Bridge. Despite the dominance in ball possession and attacking intent by the reigning Premier League champions, the resilience of the Pensioners paid off. Here is how the Manchester City players were rated in their disappointing defeat against Chelsea. Horrible ball handling to give away the corner that led to the second goal for Chelsea. Had a hard time against the Blues on the night. Went up the pitch with good pace. Did not do his bit in the defence though. Should have done better in case of both the goals. Was not able to challenge David Luiz well enough to prevent him from scoring the second goal. Failed to make an impact on the match. 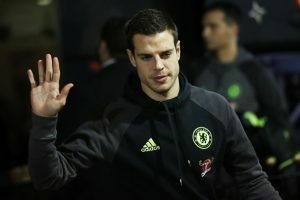 Tried his best to get the ball upfield on several occasions but was cut off by the brilliant Cesar Azpilicueta. Was not his night. Had to leave the pitch due to a hamstring injury. Failed to stop the Chelsea attacks from building from the back. Lacked the characteristic agility in front of Jorginho and company. Tried to produce a few shots but could not have any impact on the game. Was to blame for the controversial corner that led to the second goal. Looked like a bright spark on a few occasions when running with the ball. Looked far from threatening though. Was wasteful on the night. Squandered chances as his poor form in front of the goal continues. Came on for David Silva but failed to have any telling impact. Played too little to warrant a rating. 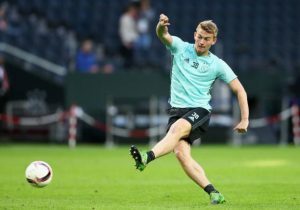 Development On Reported Leeds United Transfer Target: What Should Be Bielsa’s Play? Kilmarnock Winger Reportedly On His Way To Rangers: Does Gerrard Need Him? Chelsea Are Considering Bringing Back Former Defender: Right Call From Maurizio Sarri? 3-4-3 Chelsea Predicted Lineup Vs Watford: Alvaro Morata Back In Action! Chelsea Linked With A Move For Middlesbrough’s Rock Solid Centre-Back: An Ideal Match? 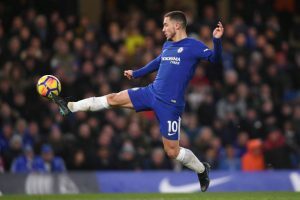 Chelsea Star Now The Primary Target Of Barcelona: Why This Move Can Spell Trouble For The Blues!